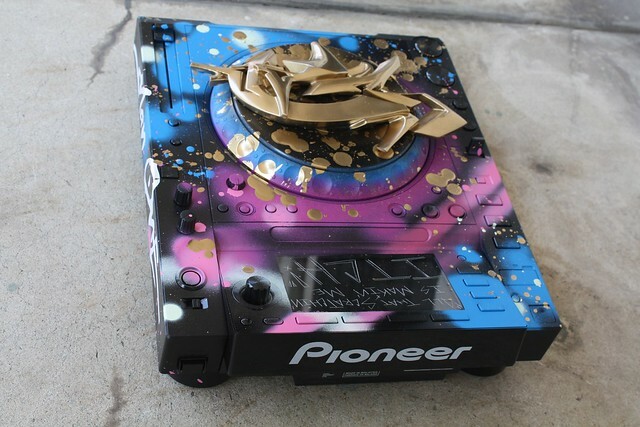 I was asked to customize a CDJ 2000 for Pioneer's Art Mix Tour 2011. The piece entitled "All That Scratching is Makin' Me ITCH!" 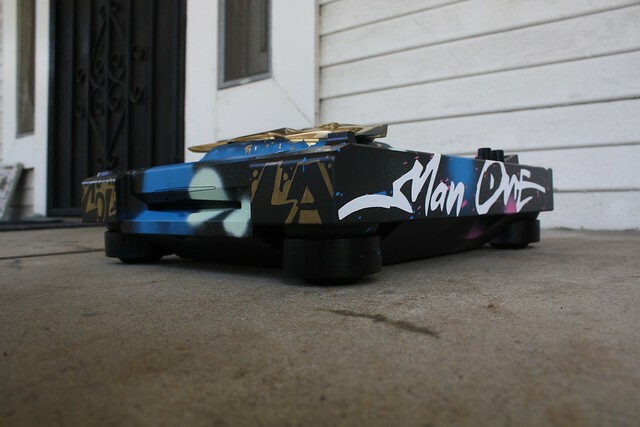 was painted using aerosol, Sharpie paint markers, and a glass etching tool. 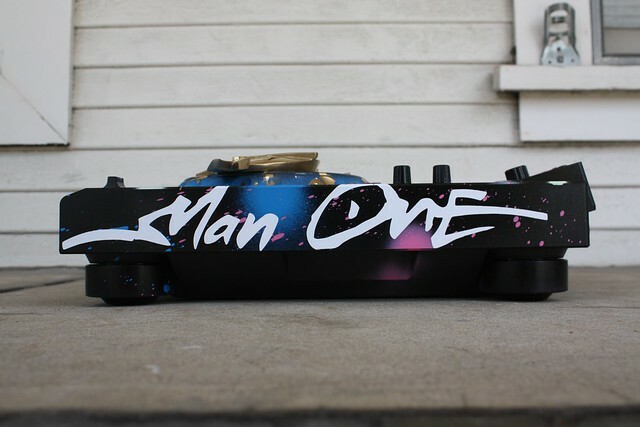 Vinyl logos and a resin "MAN" sculpture were also adhered to the piece. Here's a little video of the process. 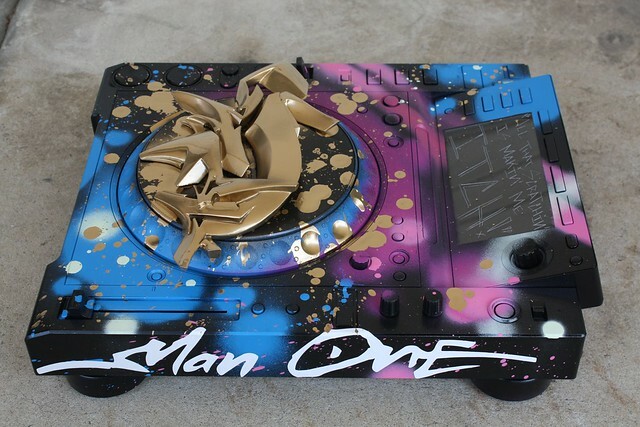 The piece will be sold at an online auction with proceeds benefiting VH-1's "Save The Music" foundation.